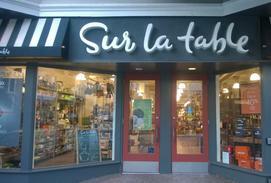 Sur La Table is headquartered in Seattle, Washington, since 1972, opening their first store in Seattle’s Pike Place Market. 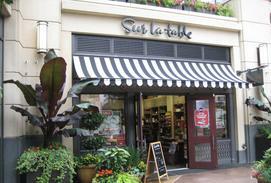 They sell a variety of kitchenware products, cookware, cutlery, tools, small appliances, linens, bakeware and glassware. 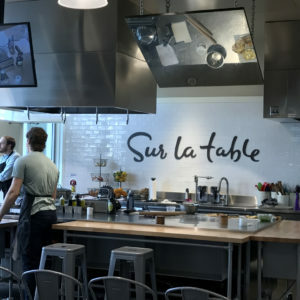 Over 100 stores across the United States, all new stores include a kitchen to provide cooking classes and product demonstrations in a first class commercial grade kitchen setting. 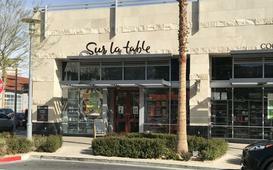 Sur La Table’s aim to provide good quality products that are affordable is reflected in their mechanical systems. All stores feature open to structure atmosphere with round, exposed, natural finished ductwork, to provide heating, ventilating and air conditioning systems. Each store that contains a kitchen, has Type 1 Hood designs requiring special exhaust and make up air delivered to the store spaces, requiring interlocking controls to accomplish varying air balance situations. New store designs included utility coordination with mall or site services, providing structural requirements to support HVAC equipment and large pipe runs, working with building owners to provide needed HVAC equipment, including packaged rooftop units, hydronic heat pumps, VAV, split system heat pumps or four pipe fan coils depending on existing infrastructure, water softner systems, fire supression system schematic plans and design criteria. Conducted due diligence MEP surveys and post demolition of existing systems to assure all new work was coordinated and installed per Owner requirements.